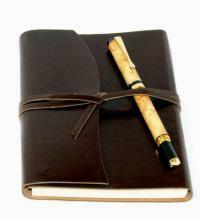 Your family folklore can provide rich and often humorous content for journaling. We have collected a few family favourites to help inspire you. Pick a prompt from the list below and start writing you might just be bowled over by the unique and original tales you have to tell. Are you superstitious? What superstitions did you grow up believing? Do you still believe them? What role has music played in your family life? (Can you play an instrument? What instruments do other family members play? Can you sing? Do you have any traditional family songs? See the links below for more prompts, topics and ideas to get you started. Some Ideas and Topics to get you started. Return from journaling to the homepage.